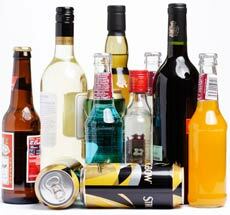 With 7 calories per gram, the number of calories in alcohol is second only after fat (9 cals/g). Nutracheck's weight loss service doesn't ban alcohol, but instead gives you a tool to monitor the number of calories in your diet from alcohol. Your food diary includes an Alcohol Monitor that tracks daily and weekly intake.